Flash-based website of New York City-based architecture firm. Residential and commercial projects. New York expert in residential, commercial, and special needs architecture. Muzak audio architecture, messaging, video architecture, and sound system design and service. Upstate and central New York. Portfolio of architecture, landscape architecture and urban planning projects, with a firm profile, client list, work in progress and contacts. Located in New York. Full- service planning, architecture and interior design firm in New York City specializing in environment / sustainable and human-centered architecture and design. Landscape Architecture and urban design located in New York City. Architecture, engineering and planning firm with offices in Maine, New Hampshire, New Jersey and New York. Specializing residential and commercial architecture, based in New York City. New York based photographer specializing in Architecture, Interiors, Advertising and Portraits. Architecture, industrial sites, interiors. Studio located in New York City. An internationally known, multi-disciplinary, environmental arts and architecture organization located in New York City. Architecture, interiors, graphics and web design firm with offices in Texas, the Carolinas, New York, Colorado and Missouri. Firm profile, portfolio and information on articles published. Located in New York City. Urban design, architecture, preservation and planning. Offices in New York, Los Angeles and Washington, D.C.
New York City-based architecture and design firm with information on its commercial, residential and institutional projects. News, firm overview and contact information. Locations in Bedford Hills and New York City. Planning, architecture and interior design for commercial, educational, institutional and industrial clients. Buffalo and New York City. Services include inspections, construction management, DOB certifications and architecture. New York City and Greenwich, Connecticut offices. Residential and commercial architecture, land planning and planned communities. Offices in Philadelphia, New York City and Seattle. Portfolio of New York firms work and history, providing examples of architecture, interior design, and office planning services. Design-based architecture firm in New York City specializing in non-profits, corporate, residential, healthcare and institutional work. New York City wedding photographer, bar and bat mitzvahs, architecture photography. Service include architecture, urban design and interior space planning. Includes brief portfolio and descriptions of employees. Located in New York and California. A large full service New York and San Francisco firm providing architectural, interior design, land planning, and landscape architecture services. If the business hours of Resolution 4 Architecture in may vary on holidays like Valentine’s Day, Washington’s Birthday, St. Patrick’s Day, Easter, Easter eve and Mother’s day. We display standard opening hours and price ranges in our profile site. We recommend to check out re4a.com/ for further information. 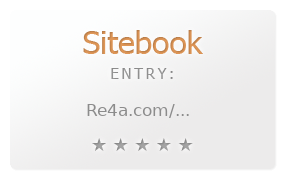 You can also search for Alternatives for re4a.com/ on our Review Site Sitebook.org All trademarks are the property of their respective owners. If we should delete this entry, please send us a short E-Mail.